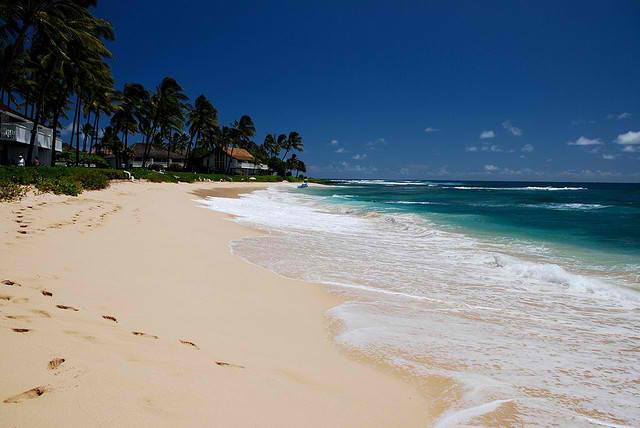 Located in the southern side of the island of Kauai, Poipu beach park is one of the country's best beaches. Aside from the inviting cool waters, the resort town features a bevy of high-end hotels, resorts and a shopping center. 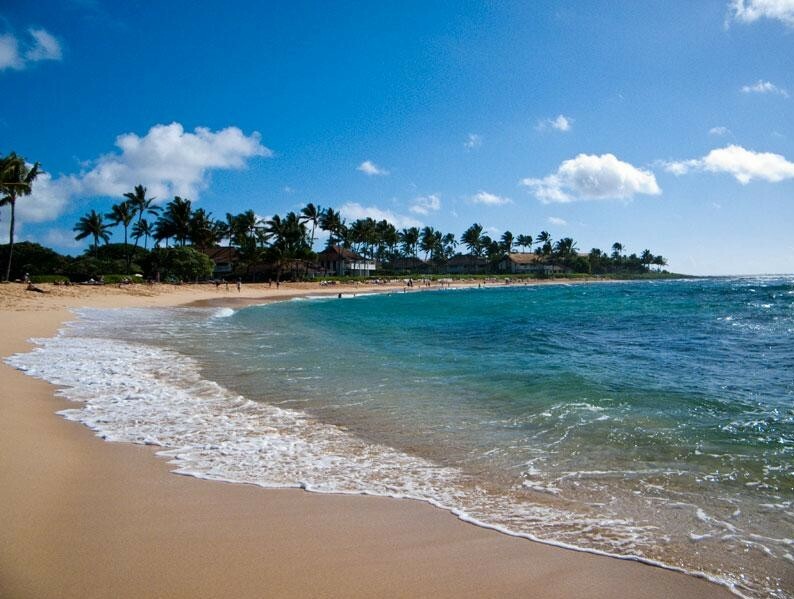 During December to May, another attraction makes Poipu beach a popular tourist destination when a variety of marine creatures, big and small, pay Poipu a visit. Get a glimpse of the mysterious humpback whales spouting off shore or swim with large honu (Hawaiian green sea turtles) in the blue waters of Poipu. 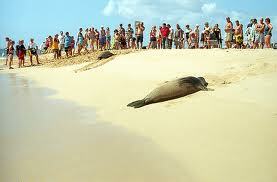 Poipu has also become synonymous with the endangered Hawaiian monk seals that sometimes steal the scene on the shore. These fascinating creatures sometimes sunbathe or even take naps on the beach, unmindful of the crowd. 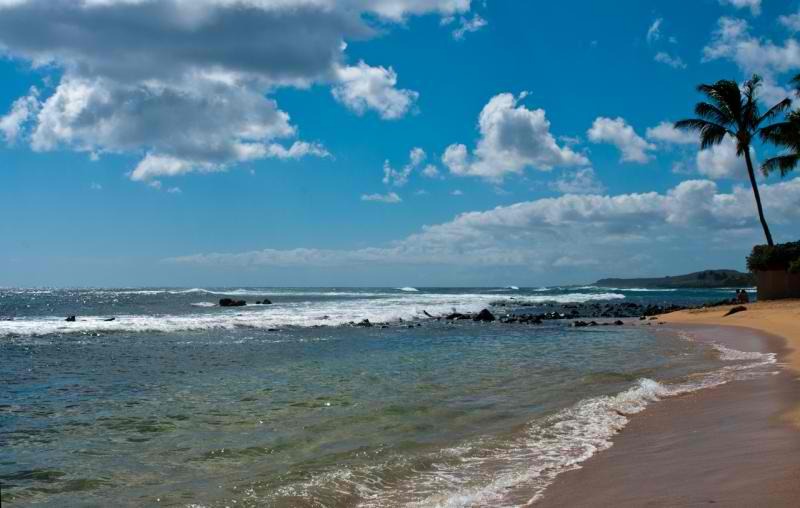 There are only about 1,200 Hawaiian monk seals remaining and many swim in the waters of Kauai. So if you fancy watching the seals, please always stay behind barricades or make sure you are at least 150-feet from these 400 to 600-pound endangered animals when in an unmarked area. 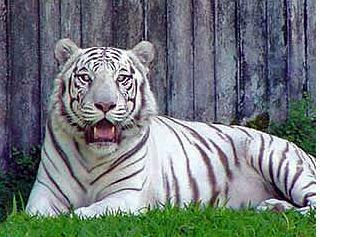 Also, refrain from feeding them as it can cause more harm than good. 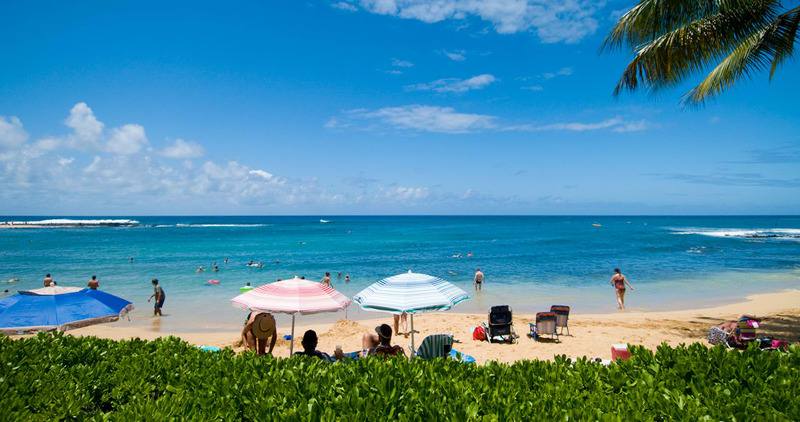 Another activity that is popular in Poipu is snorkeling. Marvel at Poipu's underwater beauty and watch colorful fishes, including the state fish humuhumunukunukuapuaa, swim their way in corals and sea vegetation. 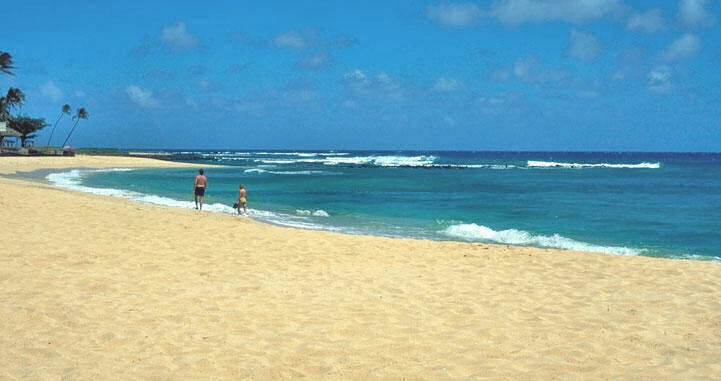 There are also wading pools for toddlers and young swimmers, making Poipu a perfect family destination. 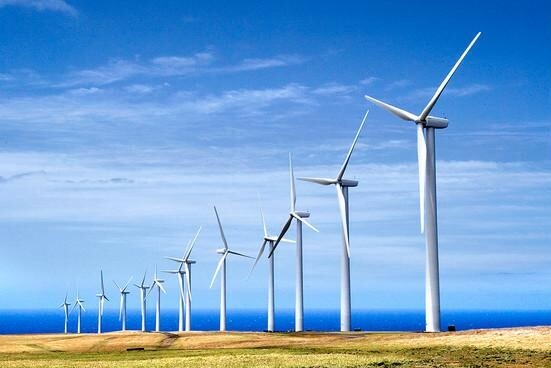 Restrooms, showers and picnic tables are also available. Safety is ensured with lifeguards who not only keep everyone safe in the water but also protect the beach. A Monk Seal Watch team is also present during seal season to make sure that the creatures are always safe from harm.